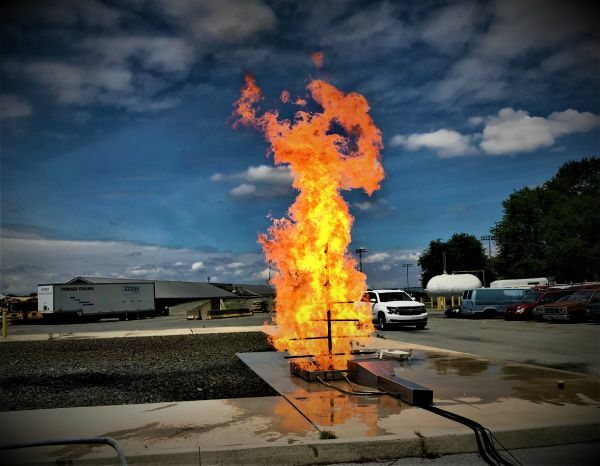 Lancaster County Training Center in conjunction with Lancaster County Emergency Management Agency was able to purchase and install another live fire training prop to simulate a christmas tree fire. This outside prop can be used with or without the tree portion to train emergency responders to mitigate this type of hazard. With the tree portion removed this training prop is great for fire extinguisher training.